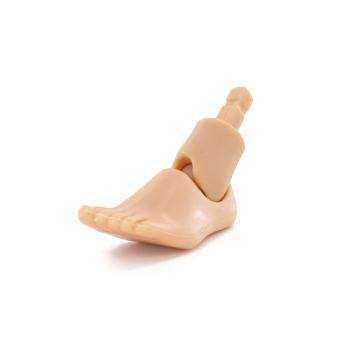 Made exclusively for Triad's female bodies, these are heeled feet in three different sizes. The feet are made to specifically wear Triad's high heel shoes and it comes in three sizes - low, medium, and high heels. Each set comes with a pair of ankle cups for use with the ALPHA body, or without the ankle cups for other bodies. The feet are made for the African skintone female bodies. Système plus esthétique que le peg boule classique qui peu permettre l'utilisation de chaussures ouverte avec un rendu plus réel. Seul pb est qu'il ne s'adapte pas forcement à tous les corps.